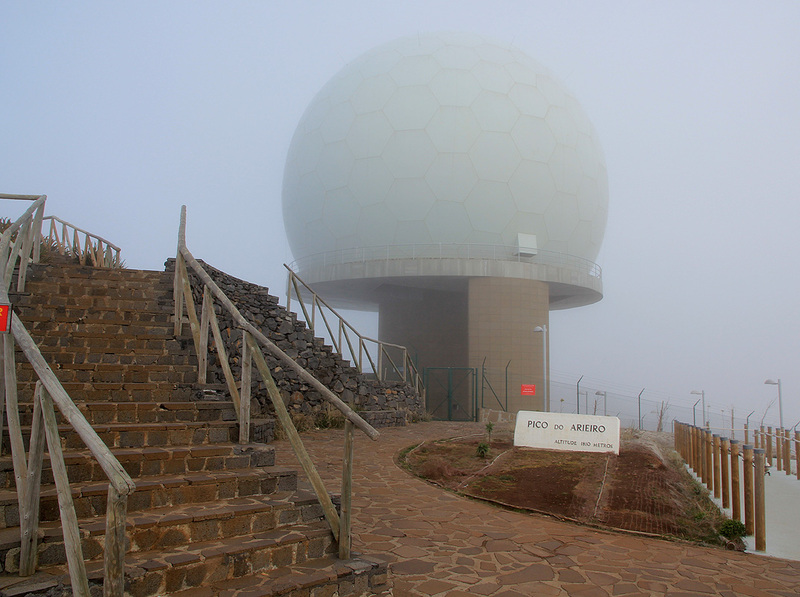 Exit your car and walk directly to the summit marker, located slightly higher than, and on the left side of the radar dome. 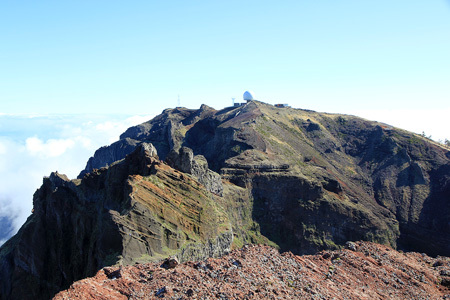 There is a world famous and very interesting trail from here to the summit of the highest peak in Madeira, Pico Ruivo. Read the full description of this trip under the entry for the peak Cidrao. This hike is completely trivial. 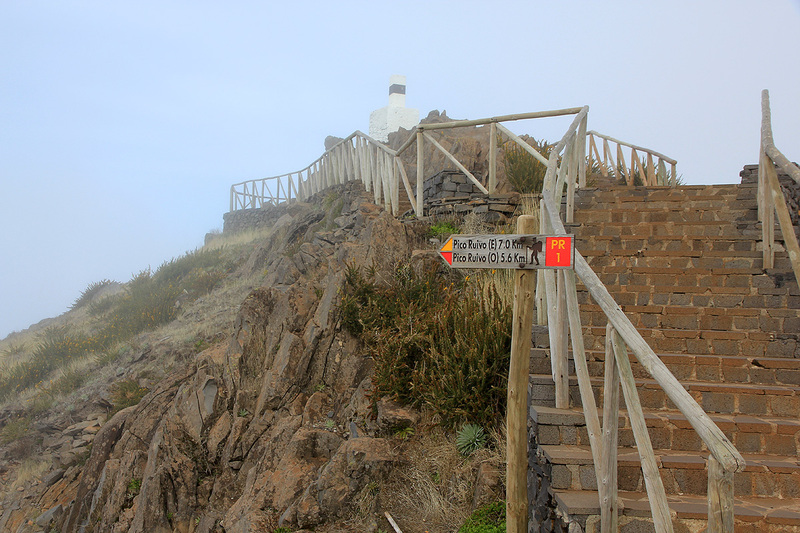 I visited here after hiking Pico Ruivo earlier in the day.